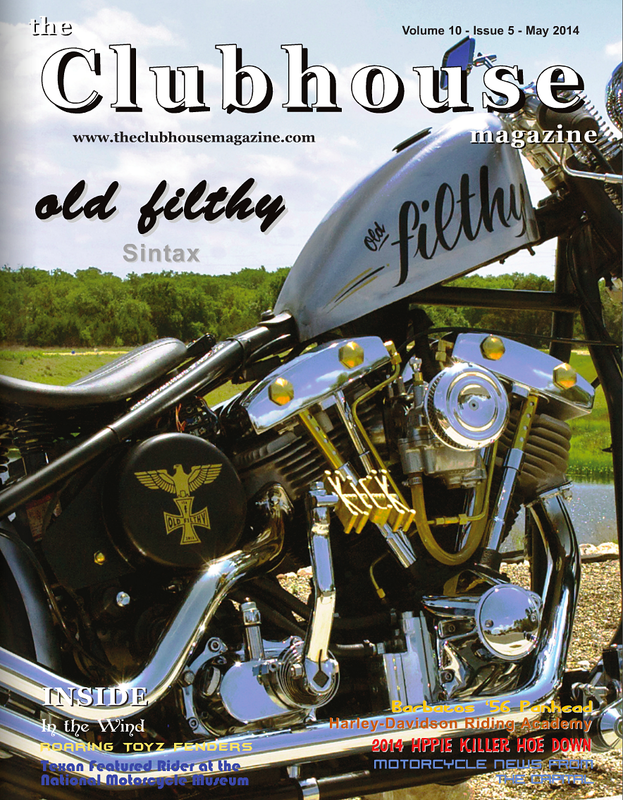 Back in March, during the Giddy Up Vintage Bike Show, Old Filthy's very own SINTAX was approached by both the editor and photographer from The Clubhouse Magazine regarding his freshly rebuilt 1976 Shovelhead. 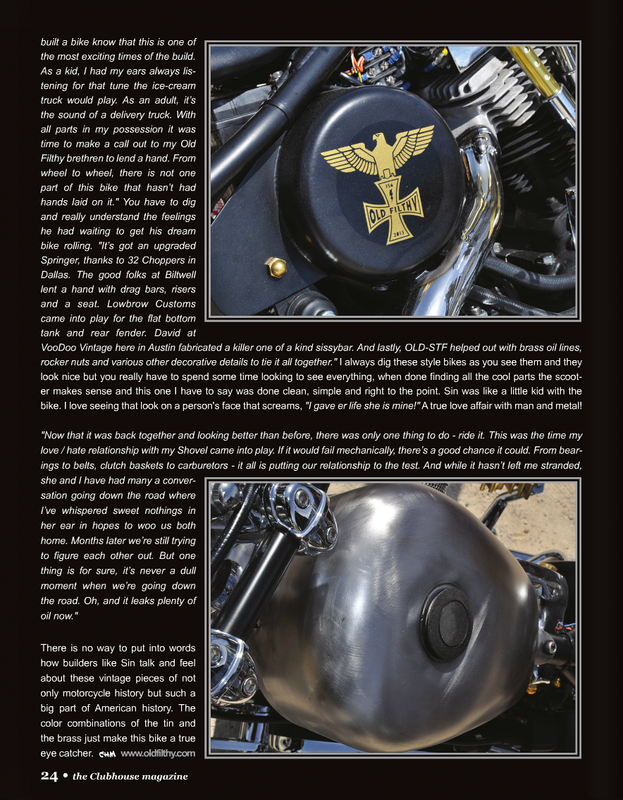 After spending some time talking about and photographing the bike, an offer for both a cover feature and three page article with centerfold was discussed for an upcoming issue. Here it is just two months later and the issue is hitting newsstands now. beauty of a bike. love the brass oil lines. real slick and sharp! nice work. everything about this bike is awesome from the time it was just imaginedthis bike has potential love the custom paintperfect size gas tankonly one word to explain it Filthy! 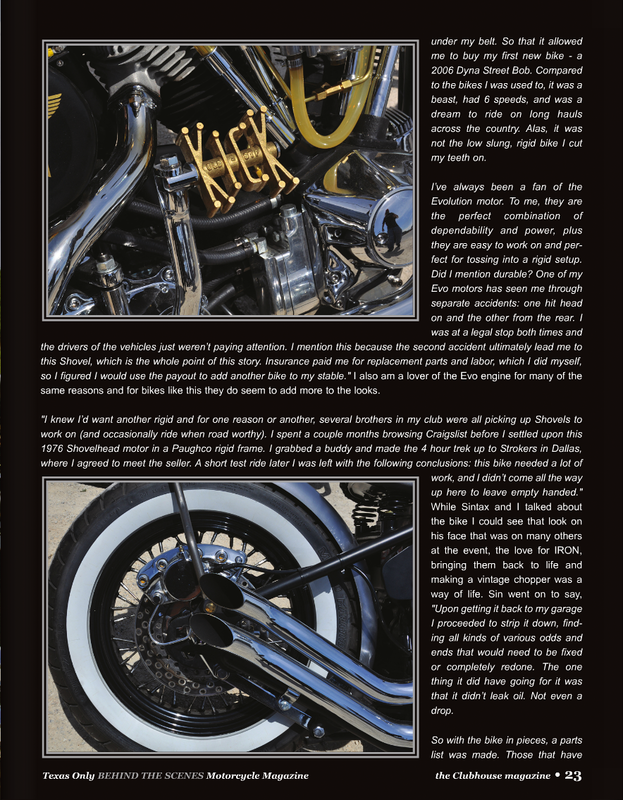 Over the last 10 years I have seen many bikes and spoken to many builders. I found Old Filthy to be one of the hottest eye catching builds I have seen in a long time. Sintax love for bikes and this one in particular was very cool. Good work great bike and a real head turner. Check it out and more.